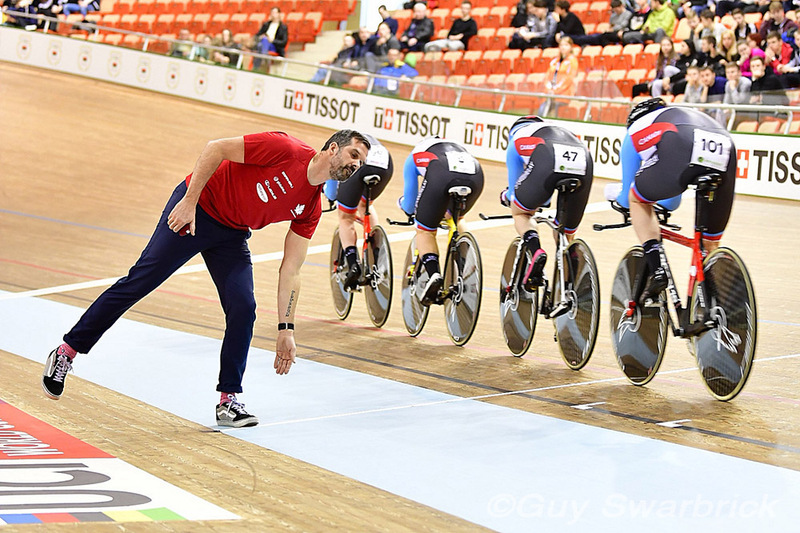 Jacques Landry, former head coach and Chief Technical Officer at Cycling Canada, will be filling the role of interim Chief Executive (equivalent to CEO) at Cycling New Zealand (CNZ), beginning mid-December and running to May 31st next year. Following the release of the Heron Review this Fall, which detailed a culture of bullying, lack of accountability and an inappropriate relationship between a coach and an athlete, current CE Andrew Matheson announced that he will be resigning at the end of this year. Landry has considerable experience with CNZ, most recently stepping in as assistant High Performance Director. "I worked with [CNZ] from 2004 to 2008 as head road coach, and did both the Athens Olympics and Beijing with them. After that, I took the role of HPD [High Performance Director] and eventually CTO [Chief Technical Officer] with Cycling Canada for almost ten years." After New Zealand sprint coach Anthony Peden resigned last Spring due to allegations of bullying and an inappropriate relationship with an athlete (which led to the Heron Review), Landry stepped in to take on the HPD role, while newly hired HPD Martin Barras (also Canadian) temporarily filled the Sprint coach role. "The dismissal of [Peden] left a vacuum in the coaching pool and Martin had to step back into a coaching role and they asked me to come in and keep the ship going in the right direction until a Sprint coach replacement was found [Germany's Rene Wolff was hired in September] and Martin could step back into his role." While he was there, Landry was involved in revamping national team selection policies and building the high performance plans for 2020 and 2024. "That contract ended mid-November, but with the announcement that Andrew Matheson was going to step down at the end of the year, they needed to find an interim replacement for him, so they shoulder-tapped me and asked if I was available." Landry will be there for the last two weeks of Matheson's tenure to make a smooth transition, and then move down January 6th next year. "It will allow me to take on some files and learn about the files that are underway." Landry admits, "this is a new position for me. If someone had asked me 12 months ago - 'have you ever thought about being a CEO?' - I would have said never, it wasn't something I had planned on doing. It's one step further from the athletes, and I have enjoyed being a coach. But it's a good situation for me as an interim position, to see what is involved, and the Chair has asked me to apply when they launch the search for the [fulltime] position. So, it's the best of both worlds - I'm trying something new and, if I'm good at it and I like, perhaps I can continue on." In addition to the day-to-day administrative activities the position entails, Landry will also be involved in starting to implement the findings of the Heron Review, including around bullying and athlete-staff relations.